In spring 2017 the Royal Institute of British Architects (RIBA) presents a major new exhibition, Mies van der Rohe & James Stirling: Circling the Square, offering a renewed examination of two iconic architectural schemes proposed for the same site in the City of London. 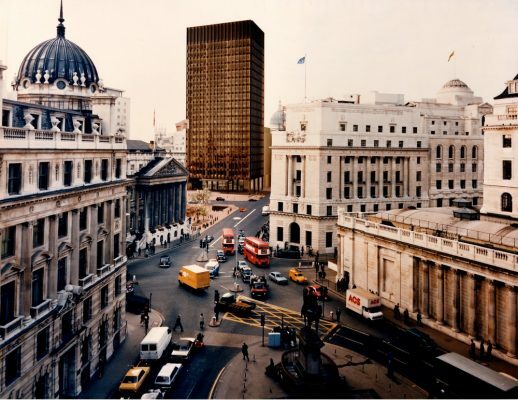 Commissioned by architectural patron and developer Lord Peter Palumbo, Mies van der Rohe’s unrealised Mansion House Square project will be explored alongside its built successor, James Stirling Michael Wilford & Associates’ newly listed No. 1 Poultry. Presented together for the first time, the exhibition offers a unique opportunity to draw comparisons between the design methods of two of the most highly recognised architects of the 20th century, and to trace the continuity in purpose and approach that unites two seemingly dissimilar architectural creations. The design history of the two schemes spans three decades of the mid-20th century, a highly transitional period in the history of architecture where the movements and influences of pop art, high modernism and postmodernism co-existed and collided. Intended to replace an eclectic block of listed buildings, both schemes became subjects of passionate debate, and high-profile inquiries. This debate distracted attention from the architectural ideas and ambitions of both architects and patron. The exhibition, designed by Carmody Groarke Architects, features models and materials, on loan to the RIBA by Lord Palumbo from his private collection, along with significant items from the No. 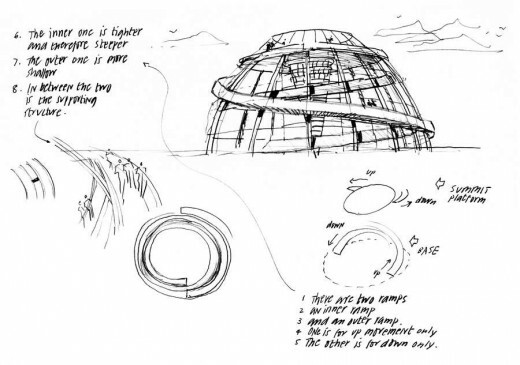 1 Poultry archive that provide an intimate insight into the workings of the Stirling office, from initial sketch ideas to his famous ‘worm-eye’ axonometric views. Mies Van der Rohe, one of the most prominent architects of the 20th century, designed his proposal for Mansion House Square at the very end of his career, between 1962 and his death in 1969. The classic Miesian glass tower of 19 storeys and accompanying public square and underground shopping centre would have been Mies’ first and only project in the UK. After a protracted planning process, the scheme was finally rejected in 1985. Lord Palumbo then approached James Stirling, fresh from his success at Stuttgart with the Neue Staatsgalerie in 1984, to conceive an alternative vision for the site. James Stirling, Michael Wilford & Associates’ No. 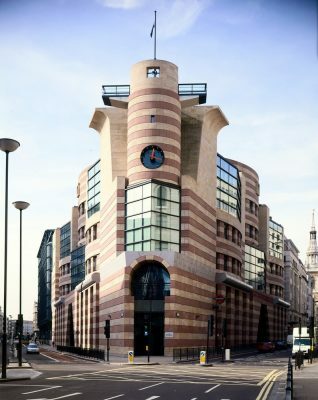 1 Poultry was completed in 1997, two years after Stirling’s untimely death. It is often cited as a masterpiece of the post-international style and has recently been awarded Grade II* listed status; while it still divides opinion, the building was designed with an acute consciousness of both its historic surroundings and Mies’ earlier design. The exhibition is co-curated by Marie Bak Mortensen, Head of Exhibitions and Vicky Wilson, Assistant Curator, RIBA. A series of public events including talks; film screenings; a Late evening event on 28th March 2017, Less is more. Less is a bore? and workshops for families and children will support this programme – details to follow. The Architecture Gallery opened in February 2014 in the RIBA’s Grade II* listed Art Deco HQ. Through regular, free exhibitions that explore the past, present and future of our built environment the gallery programme will help visitors discover and explore architecture. The gallery offers the opportunity for the RIBA to display its world class collections contained in the British Architectural Library. RIBA, 66 Portland Place, London W1B 1AD. Tel: 020 7580 5533; www.architecture.com/programmes. Nearest tubes are Regents Park, Oxford Circus and Great Portland Street. Admission to the exhibitions at the RIBA is FREE. Venue: The Architecture Gallery, RIBA, 66 Portland Place, London, W1B 1AD, London. For public enquiries – Tel: 020 7307 3699 www.architecture.com/programmes. The RIBA is open Monday to Saturday 10am – 5.45pm and until 22.00 every Tuesday. It is closed on Sundays. 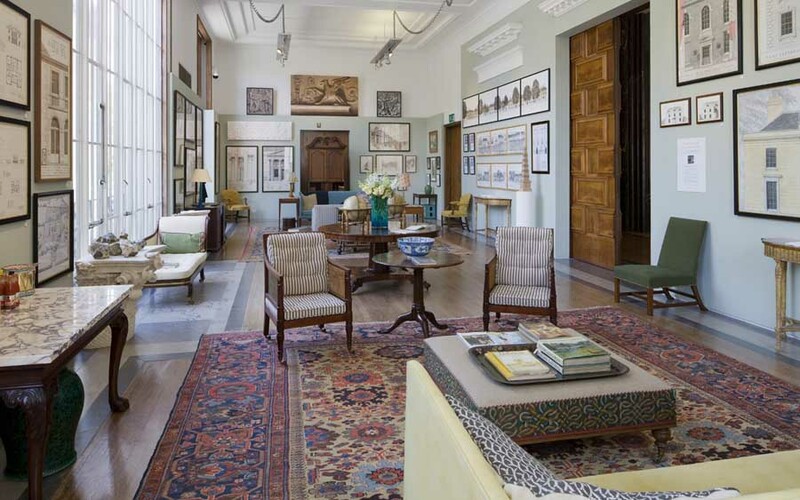 The RIBA Trust manages the cultural assets of the Royal Institute of British Architects (RIBA), including the internationally recognised collections of the British Architectural Library. It is the UK’s national architecture centre, delivering the RIBA Awards and RIBA Stirling Prize; the Royal Gold Medal; International and Honorary Fellowships; a full programme of lectures, exhibitions, tours and other events; and an education programme.